Many Variations On 1 Incredible Guitar. Ibanez JEM is an electric guitar manufactured by Ibanez and first produced in 1987. The guitar's most notable user is its co-designer, Steve Vai. As of 2010, there have been five sub-models of the JEM: the JEM7, JEM77, JEM777, JEM555, JEM333, and JEM70V. Although the Ibanez JEM series is a signature series guitar, Ibanez mass-produces several of the guitar's sub-models. 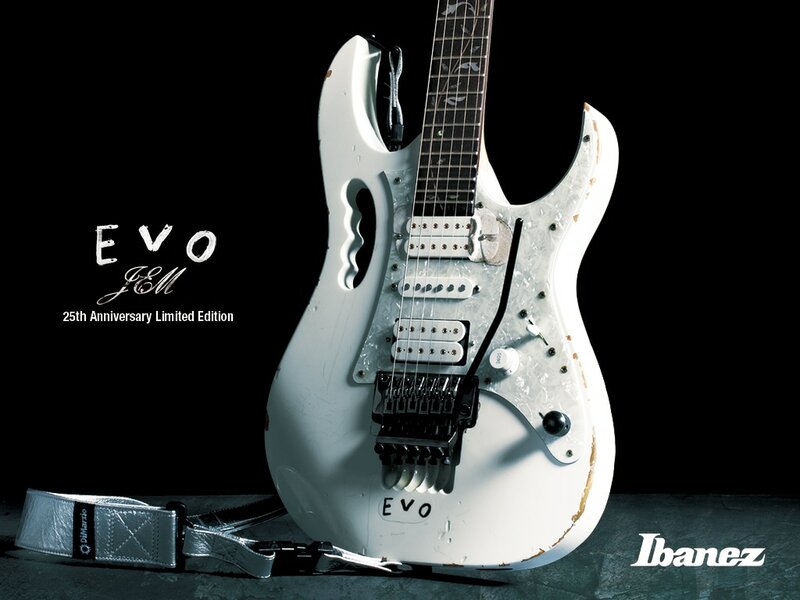 The design of the Ibanez JEM series was heavily influenced by the superstrat style of guitars of the early 1980s such as the Jackson Soloist, Kramer Beretta and Hamer Chaparral. This type of guitar is more aggressively styled in terms of shape and specifications compared to the Stratocaster on which they are based.